Rebecca Lessard of Wings of Wonder released a rehabilitated juvenile bald eagle back into the wild on Monday morning at Inspiration Point overlooking Glen Lake. The female bird, nearly a year old, was found near Marquette suffering from what was believed to be West Nile Virus. 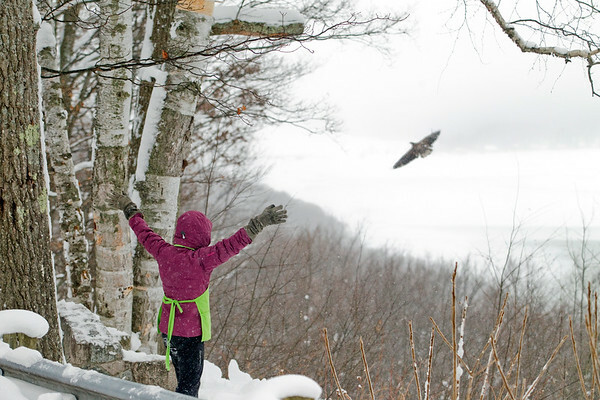 Lessard rehabilitated the raptor for over 4 months before releasing it outside Glen Lake Schools in Maple City, then later at Inspiration Point when the bird didn't fly to a perch high enough to take off again.